Legendary press agent Charlie Cinnamon is honored in a new exhibit that highlights his groundbreaking HIV work. Everybody loved Charlie Cinnamon, probably because the long-time press agent was too honest and caring a person not to love. 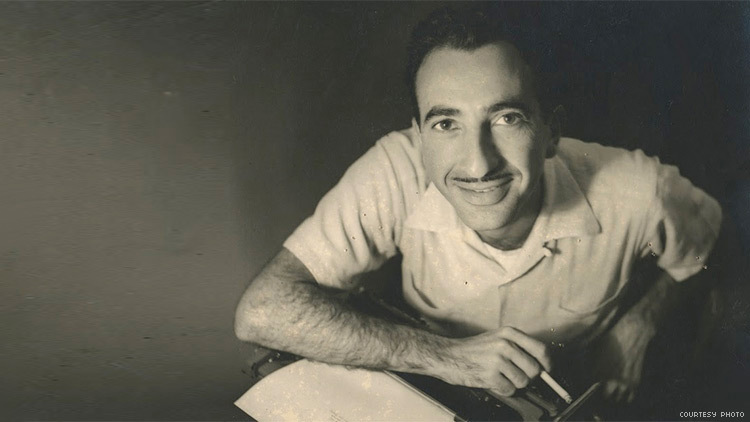 A new exhibit, "Charlie Cinnamon: Legendary Press Agent," in Miami Beach at the Jewish Museum of Florida – Florida International University, remembers this remarkable life with items from his own personal archives. Before passing away in 2016 at the age of 96, Cinnamon had represented and befriended a who’s-who list of celebrities. Stars like Elizabeth Taylor, Johnny Carson, Lauren Bacall, and others were represented by Cinnamon because he was a great press agent, but they loved and trusted him as a friend, too. Cinnamon’s finest moment came when he organized one of the first major AIDS fundraisers in 1984. Not one to shy away from his sexuality, Cinnamon had been a major presence within the South Florida LGBTQ community for decades. An invitation to one of his sexually-inclusive social gatherings had to be coded as a “record listening” party back then. Though attitudes were slowly changing by 1984, the country seemed little interested in battling what was often perceived as a “gay disease.” Cinnamon saw the ravages of AIDS firsthand, and he enthusiastically marshalled forces to mount an assault against it. His now-famous, star-studded “Commitment to Life” fundraiser was a groundbreaking success on multiple levels. Cinnamon made good use of his friendships and contacts for the event. Elizabeth Taylor was obviously the biggest name, but Burt Reynolds, Carol Burnett, Sammy Davis, Jr., Cyndi Lauper, and many others helped with the cause. The event proved to be a clarion call to the community. It set the gold standard for future fundraisers, and left a blueprint for others to follow. In the end they raised $1.3 million in donations, and, perhaps more importantly, some truly priceless awareness. "Charlie Cinnamon: Legendary Press Agent" runs through September 16, at the Jewish Museum of Florida – FIO in Miami Beach.